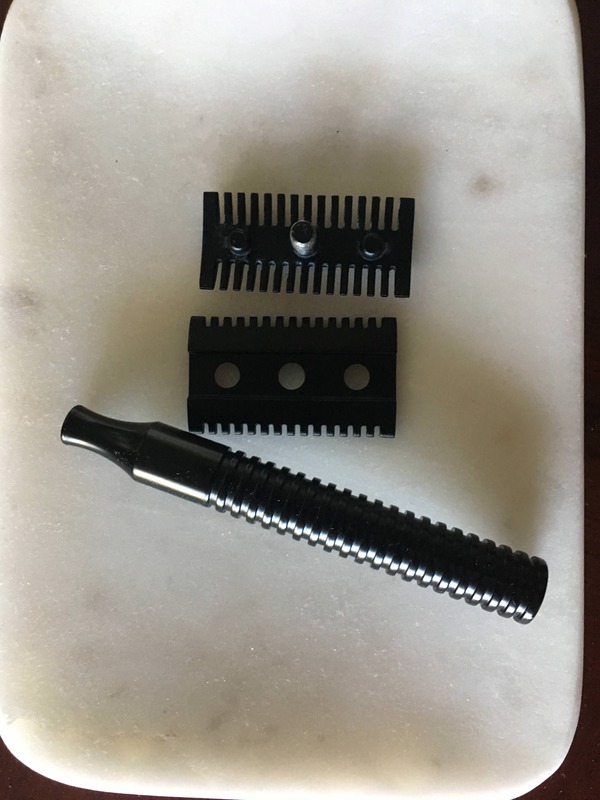 Offered is a Yaqi razor which got its inspiration from the PAA DC which in turn got its idea from another old time razor. 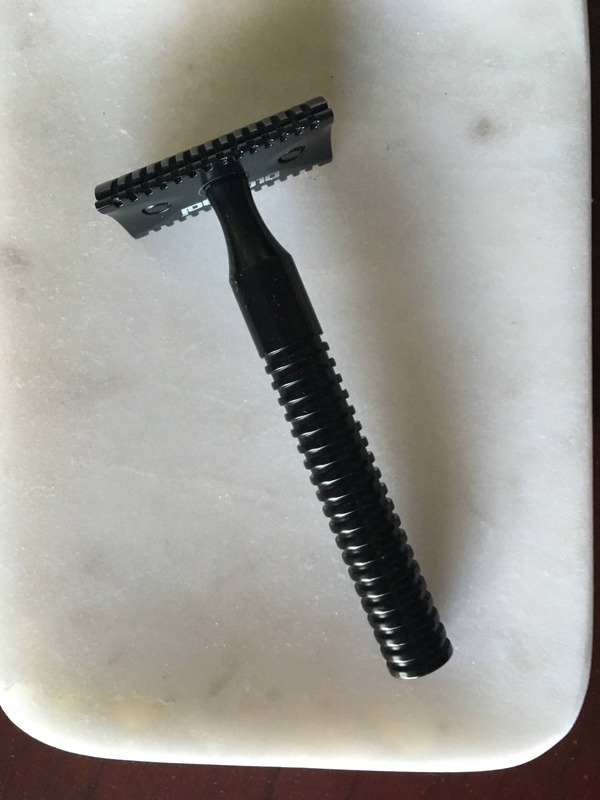 So a knock off from a knock off but this is a great shaving razor that is mid aggressive. The head is zinc DLC coated and the handle pure brass with DLC. Weight 100 grams handle length 90 mm. Perfect blade alignment and the grip is really good.